PRE-ORDERS now being taken. Availability will be mid-December. 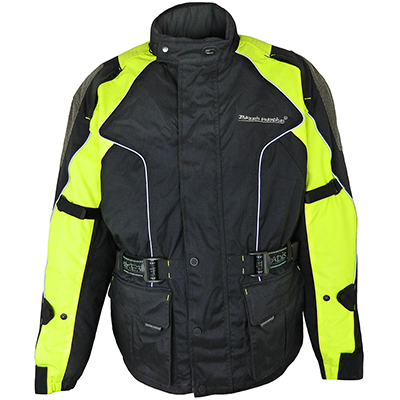 A waterproof motorcycle jacket that ensures you're visible to other road users! Made in quality black and hi-viz textile. The hi-viz yellow is fluorescent and really stands out. As well as this, the jacket also has reflective piping on sleeves and the front and back of jacket. Comfortable and breathable fixed airtex lining and a cosy quilted zip out winter lining. CE ZUMATEX ZT-09/S EN-1621-1-1997 SHOULDER AND ELBOW ARMOUR. Extra reinforcement panels on shoulders and elbows to combat road friction. Belted waist, drawstring bottom hem, sleeve adjusters and elasticated cuffs with Velcro straps to ensure a secure fit which helps prevent drafts. A secure fit also gives the jacket's protective features the best chance of working optimally. 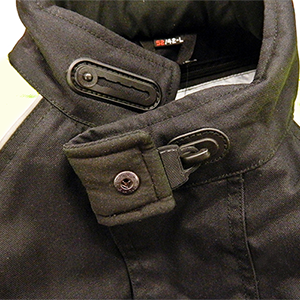 Quality YKK main zip fastening, thoroughly covered by textile flap that is secured in place by Velcro and press studs. Concealed zip vents at top of chest and on back for air-flow when required. Two large outside pockets. Inside: mobile phone pocket and large pocket. 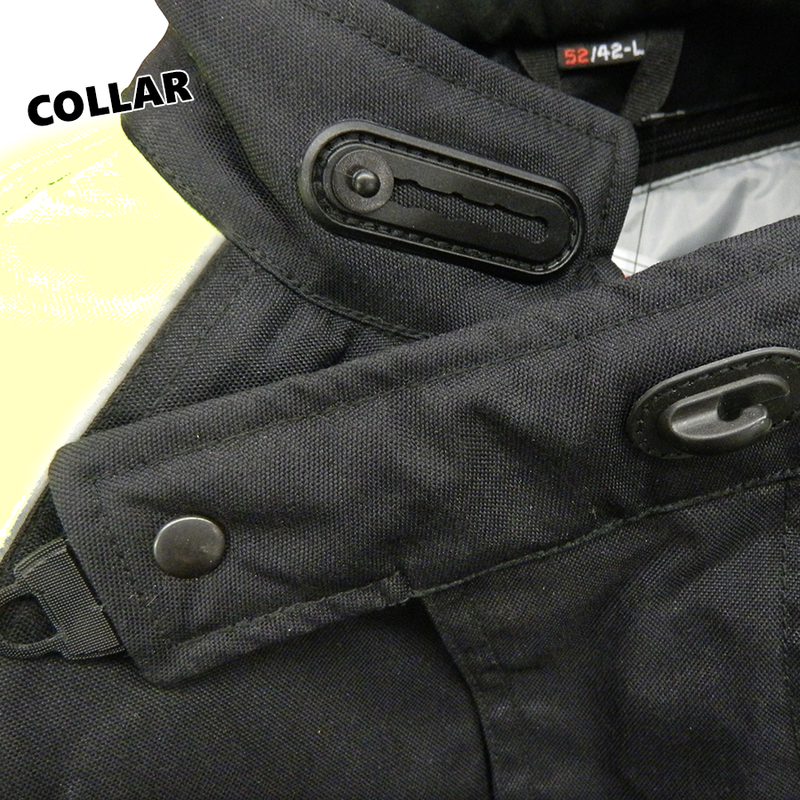 Press stud collar with stud adjustment and handy collar strap hook to keep it out of the way when you want the collar open. 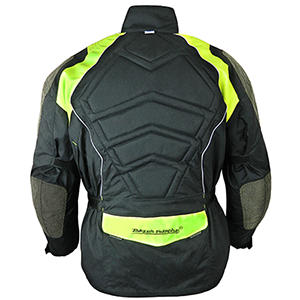 Be seen, be covered and be ready for any conditions with the Hi-Viz Magnum.